I am joining forces again with the participants of Poppins Book Nook. The topic for October is Beyond our Planet, and today I am sharing our favorite space books and activities for elementary school. Disclosure: I am an Amazon associate and this post contains affiliate links. For full disclosure, please click here and thank you for supporting my blog! Clip Art for Poppins Book Nook is by Melon Headz. Since my daughter was a young preschooler, she was fascinated with space. We read many books about space, both fiction and non-fiction. In this post I will share some of her recent favorites. I do not have a lot to say about Ripley’s Believe It ot Not! Zoom! book except that Smarty keeps taking it (and it’s cousins from the same series) from the library every month and rereads them. I haven’t had a chance to read them with her, but from her comments I gathered that this is a typical trivia book that manages to make “boring facts” very exciting through engaging illustrations and outrageous comparisons. Postcards from Pluto by Loreen Leedy is in our home library and is read very often. I think the concept is very clever – 6 kids travel the solar system and send postcards back home, as if they are on a regular vacation. The book sits in that sweet spot between fiction and non-fiction that my daughter really enjoys. Since the text on each page is relatively short, I’d recommend this picture book for reluctant readers. Space Station Rat by Michael Daley was a book that I specifically chose to read for this edition of Poppins Book Nook. I read it aloud to Smarty, and she immediately identified the story as a science fiction. Her rationale was that children don’t go to space. In the story a child of two scientists is “stuck” on the aging space station with his parents while a genetically modified super intelligent rat ends up there by mistake trying to escape from the science lab on Earth. An unlikely friendship forms towards the end of the book, and we are waiting for the sequel to come from another library. Well, I don’t mean “into space”, but we took Smarty to our local NASA facility – Ames Research Center a few years ago. She really enjoyed the trip, and I think we are going to go again soon now when she is 3 years older. If you are lucky to live close to NASA centers, their museums are certainly worth a trip. If not, then a visit to planetarium is a great way to get kids “up close and personal” with space topics. This is a popular school project, but we happened to make ours when Smarty was still in preschool, and it was entirely child-led. We made homemade playdough for the first time, and she insisted on making a solar system in playdough. There are any number of space crafts available, but we ended up doing an open-ended space collage – it also happened in the last year of preschool when daughter was so intensely interested in space. It still hangs in her “picture gallery” in our stairwell to the second floor. The same friend who gave Smarty her Lego Shuttle gave her this “real” model Estes Silver Arrow Rocket launch kit. He also included components that are not part of the kit – recovery padding and this engine pack. I was hoping to find time this month to finally assemble and launch the rocket, but we had busy weekends with visitors and birthdays and didn’t get to it. This is something on out “to do list” for the next weekend. More About Astronomy for Kids? My friend Ticia from Adventures in Mommydom has a great Astronomy for Kids Pinterest board. One day I’ll make my own too! Follow Ticia Adventures in Mommydom's board astronomy for kids on Pinterest. Do your kids enjoy books about space? Fiction or non-fiction? Thanks for featuring my astronomy board! I forgot to do that in my post. And forgot to put in the linkie.... Some days I'm very lucky my head doesn't detach because I'd forget that too. I love all of your books and activities, now I'm checking out the Lego space shuttle which Batman would go nuts for and Postcards from Pluto. I am surprised that my kids haven't shown any interest in space - it's such a common childhood interest. 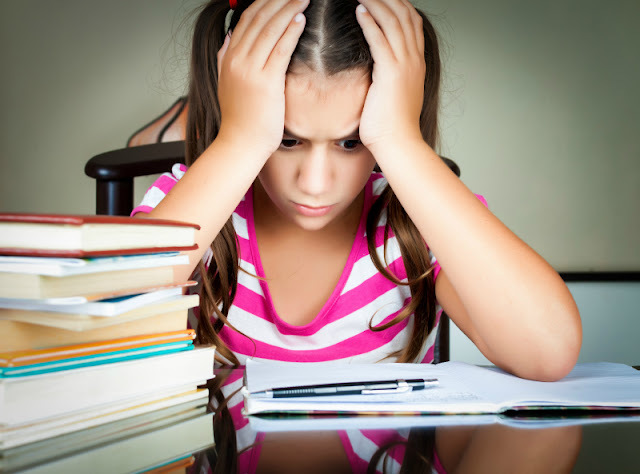 Brilliant ideas - Thanks for linking with this week's Parenting Pin it Party. It looks like you've been having a universe of fun! Keep up the great work! I'll be featuring you this week on Mom's Library at Crystal's Tiny Treasures. 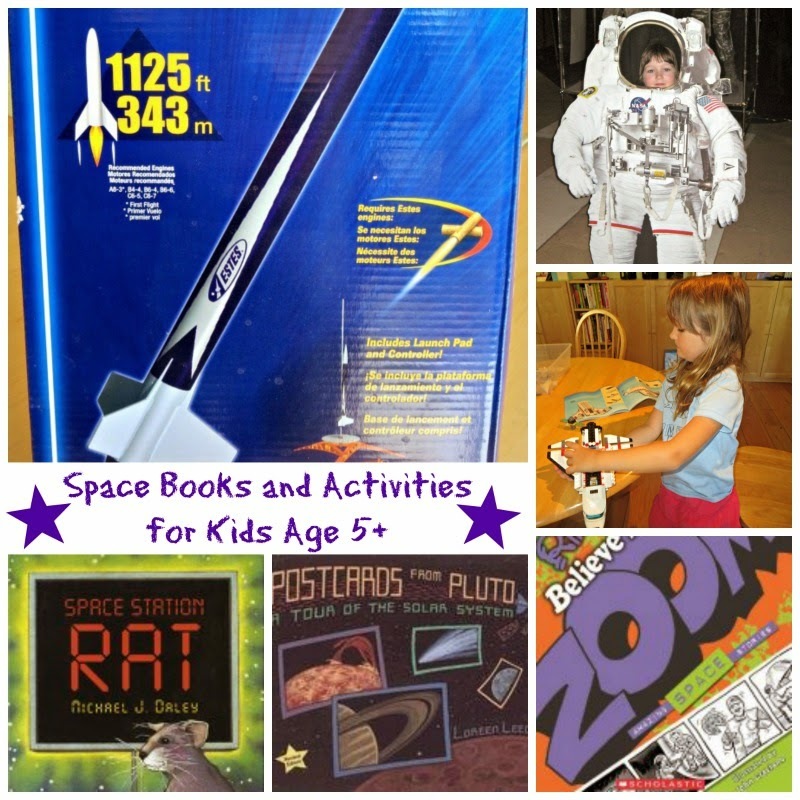 These are great books and activities to get the kids on an out of this world adventure!